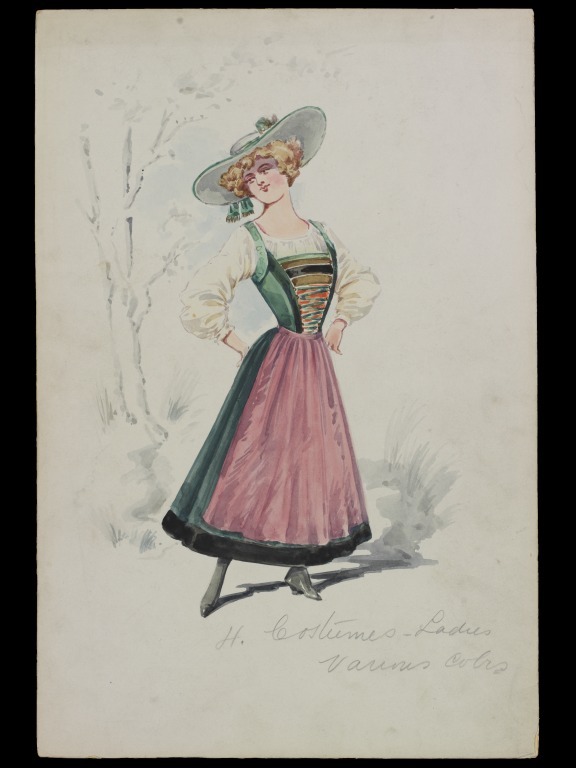 Costume design by Attilio Comelli, probably for an operetta or pantomime, undated but probably 1912. 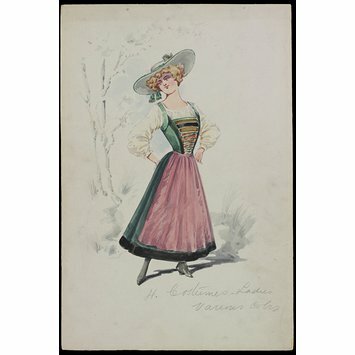 Costume design depicting a woman wearing a dirndl1 consisting of a bodice, blouse, full skirt and apron in green, pink, red, brown, white and black. 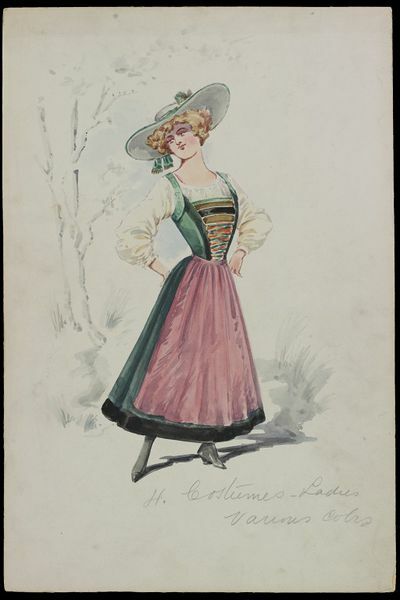 She wears a light green and grey, large brimmed hat with feathers. Written in pencil on back of design.